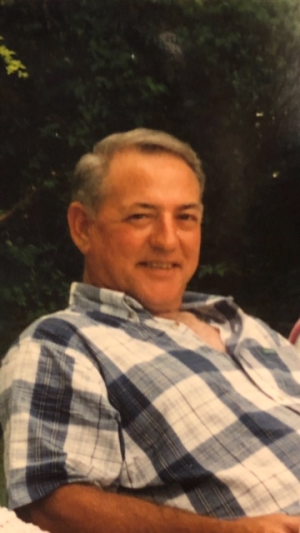 Obituary for John Robert Fort | Thompson Funeral Home, Inc.
Mr. John Robert Fort, of Norway, passed away on Friday, February 8, 2019 at Lexington Medical Center. Mr. Fort was born on October 3, 1938. He was the son of the late Robert and Emma Lou Fort. He was retired from American Koyo Corporation. He loved hunting, fishing and spending time with his family and friends. He was a member of Willow Swamp Baptist Church. He was predeceased by a brother, James Clarence Fort. Funeral services will be held at 12:00 P.M. on Monday, February 11, 2019 at Willow Swamp Baptist Church. Rev. Jimmy Brown and Rev. Ben Harr will be officiating. Burial will follow at Willow Swamp Baptist Church Cemetery. The family will receive friends from 11:00-12:00 prior to the funeral service at Willow Swamp Baptist Church Social Hall. Survivors include his loving and devoted wife of 58 years, Norma Fort; one daughter, Pam and Keith Ridgway of Lexington; two sons, William Fort of Norway, Clete and Maria Fort of Las Vegas, NV; three granddaughters, Katie Ridgway, Maddey Fort, Abigail Fort; three grandsons, Kyle Ridgway, Gabe Fort, Eric Fort; two great-grandchildren, Bailey Rae, Travis; one sister, Gayle Carter of Norway; sister-in-law, Margaret Ann Fort and a special four legged “daughter” Sissy.